The Associated Equipment Company Limited evolved from the merger in 1908 of the London Motor Omnibus Co Ltd - which ran its "Vanguard" buses on services in the capital from their works at Walthamstow - and the mighty London General Omnibus Co Ltd.
London's bus chassis of the early 20th Century were mainly imported and the enlarged L.G.O.C. built bus chassis to its own design at Walthamstow Works. The L.G.O.C. was taken over by the Underground Electric Railways Co of London Ltd and in 1912 the Underground separated off the chassis-building activities to form the Associated Equipment Co Ltd.
A.E.C. and the Daimler Co Ltd merged in 1926 to form the short-lived Associated Daimler Co Ltd, coinciding with construction of the new works at Southall, west of London. 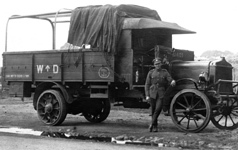 The first Southall chassis were completed in early 1927 and over the next fifty-two years A.E.C. were leaders in the highly competitive field of commercial and passenger vehicle manufacture, responsible for classics such as the MATADOR artillery tractor, the REGAL, REGENT and RELIANCE series of passenger chassis, the MAMMOTH MAJOR, MANDATOR and MERCURY heavy goods chassis, and such legendary diesel-engines as the 7.7, 8.8, 9.6, 11.3 and 12.4 litre types. 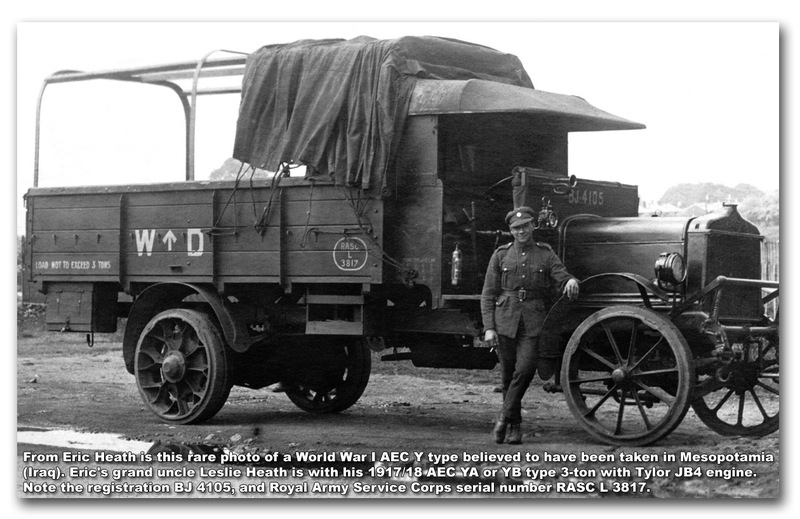 Many thousands of buses, lorries, dump trucks and chassis for fire appliances were built for loyal customers at home and overseas. A.E.C. engines were also used in many other makes of chassis, and there were military, marine and industrial engine applications too. 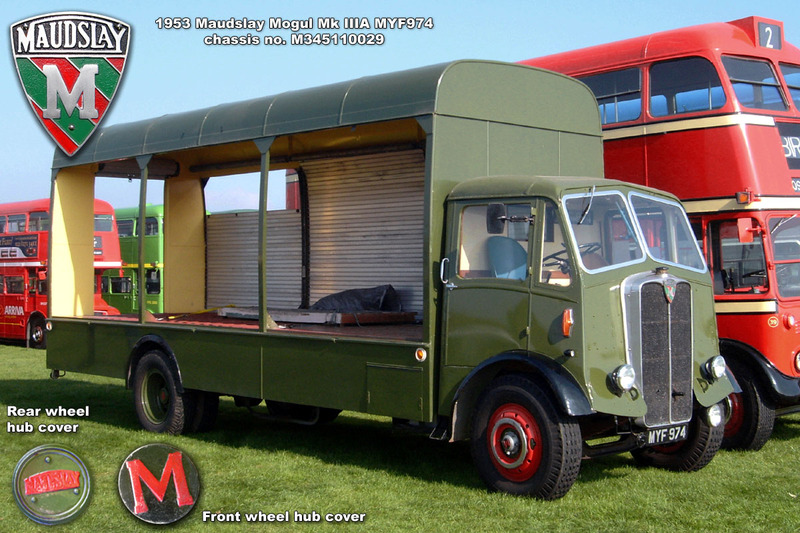 Another merger in 1948 combined A.E.C., Crossley Motors Ltd and the Maudslay Motor Co Ltd to form the Associated Commercial Vehicles Co Ltd. A.C.V. 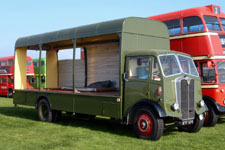 acquired Park Royal Vehicles Ltd and PRV subsidiary Charles H Roe Ltd in 1949, and Transport Equipment (Thornycroft) Ltd in 1961. The merger with Leyland Motors Ltd in 1962 would be the last. Double deck bus production ceased with the last ROUTEMASTER and REGENT V types built in 1968. The ailing British Leyland Motor Corporation was nationalised in 1974 and Southall's stay of execution lasted another five years until 25th May, 1979 when the final MARATHON goods chassis came down the production line and the works was closed down. But thanks to the preservation movement, a great number of A.E.C.s can be seen, heard and, in some cases, ridden on, at rallies and special services all over the UK, and overseas in Australia, New Zealand, Portugal, Holland and the USA. I was born in Southall, Middlesex, in 1958, not far from Windmill Lane, the home of A.E.C. from 1926 until 1979. As a boy I would walk or cycle around the whole perimeter of the works trying to get a look inside - there was always something new and exciting to see parked on the works drive, or on display in the showroom. I was taken to A.E.C. open days and I remember marvelling at giant yellow dump trucks and odd-looking left hand drive buses, and in the month of December we would drive past the works to look at the Christmas tree lights along Windmill Lane. Although we moved to North London in 1972 I would often go back to Southall and visit my old haunts, as I still do. I didn't work at A.E.C., nor do I own a preserved vehicle (one day, maybe ...) but my interest in A.E.C. is as strong as ever. In 1999 the A.E.C. Society appealed for someone to design a website for them. I had been thinking about how best I could share my own photos, but although I didn't have a computer, and had no idea how to make a website, I decided to have a go anyway! I bought the computer and one or two internet-for-dummies books, and by April 2000 I'd managed to launch this website, which initially consisted of photos I had taken myself at various rallies and at Southall Works after it had closed. I quickly discovered that Eric & Josh Hayles had beaten me to it with aecsociety.com. They had done a great job but I decided I would continue developing and improving this website. It has since been considerably enhanced by the many great pictures generously contributed by A.E.C. enthusiasts. The webpages are written in html with no wizards. Images are edited using Photoshop 6 and the entire website is currently 175mb. I hope you enjoy looking around. Please visit my Classic Commercial Motor Vehicle gallery before you go - AECs now being added!